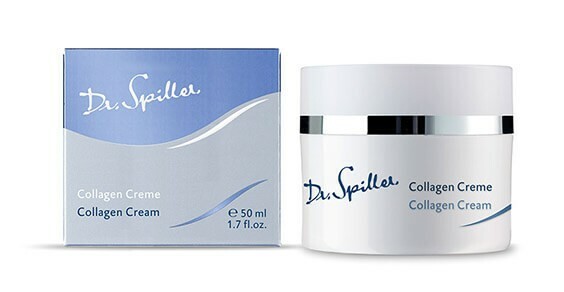 Collagen Cream invigorates the skin with moisture and effectively counteracts the premature loss of resilience. Embedded in Grapeseed Oil, the night cream optimally nourishes oxidization-stressed skin, combats external stressors and helps retain the skin’s youthful elasticity. Azulene is an active ingredient that soothes irritation while Avocado Oil makes the skin supple to the touch. Apply Collagen Aqua Plus to face, neck and décolleté in the evening after cleansing. Follow with Collagen Cream.